Hydraulic Facilities – Flint Hydraulics, Inc.
Flint Hydraulics, Inc. supplies original and replacement hydraulic pumps, hydraulic motors and their parts for name brands worldwide. 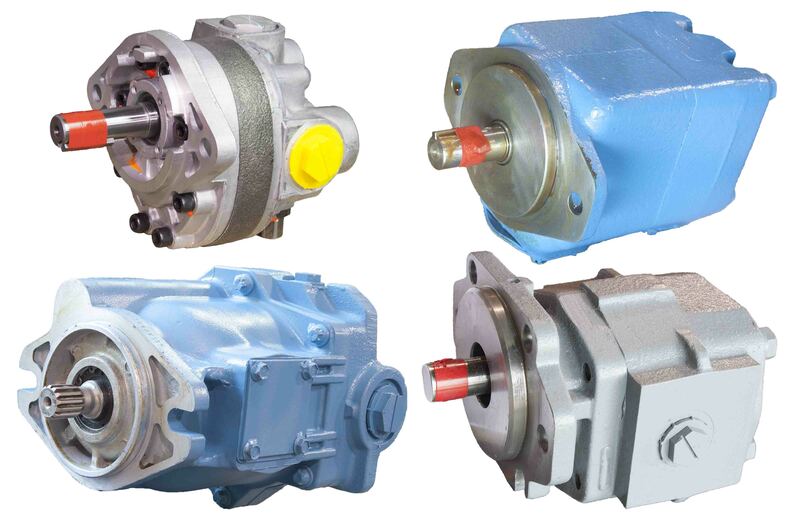 We custom assemble most models and designs of gear, vane and piston pumps and motors for same or next day shipment. Utilizing specially designed software, we are able to custom assemble thousands of configurations of gear, vane, piston and geroler style pumps and motors for a number of manufacturers. 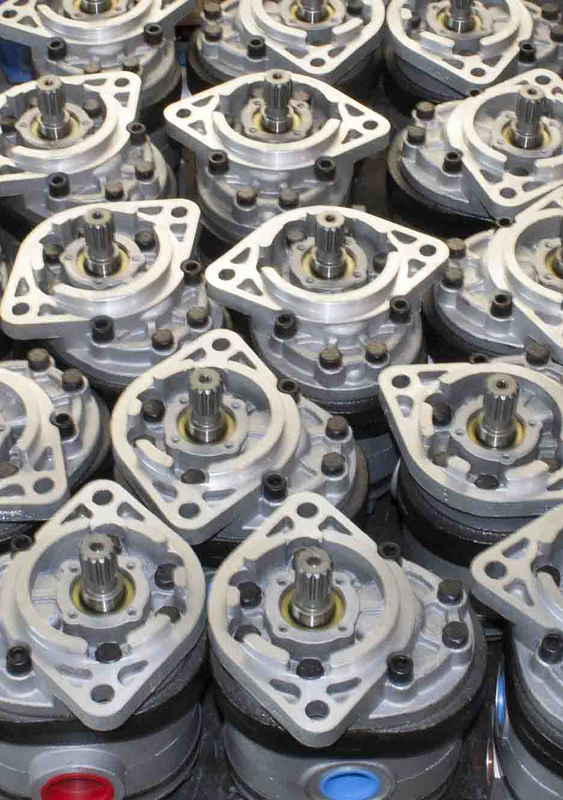 At Flint Hydraulics, Inc. we maintain one of the largest inventories of replacement parts and assemblies for hydraulic pumps and motors anywhere. 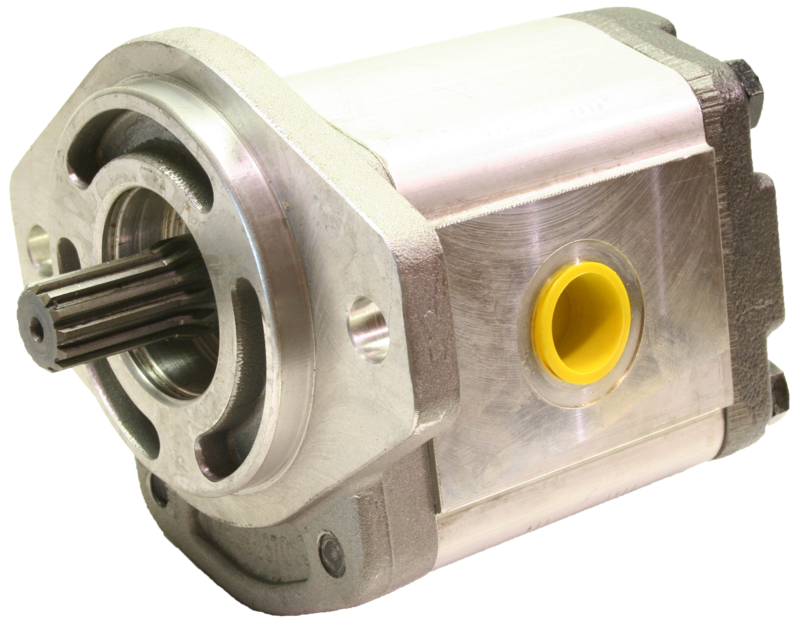 Our sales and service staff can help you with any replacement parts or service questions you may have for most major brands of hydraulic pumps and motors. 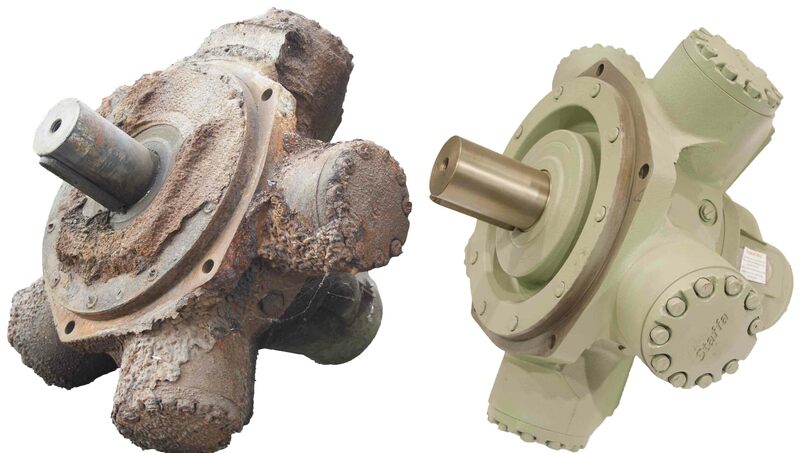 We provide original and replacement hydraulic repair parts manufactured to meet or exceed OEM specifications, and tested to ensure fit, durability and superior quality. Flint Hydraulics has a reputation for delivering high-quality repair parts at reasonable prices and world-class customer service. 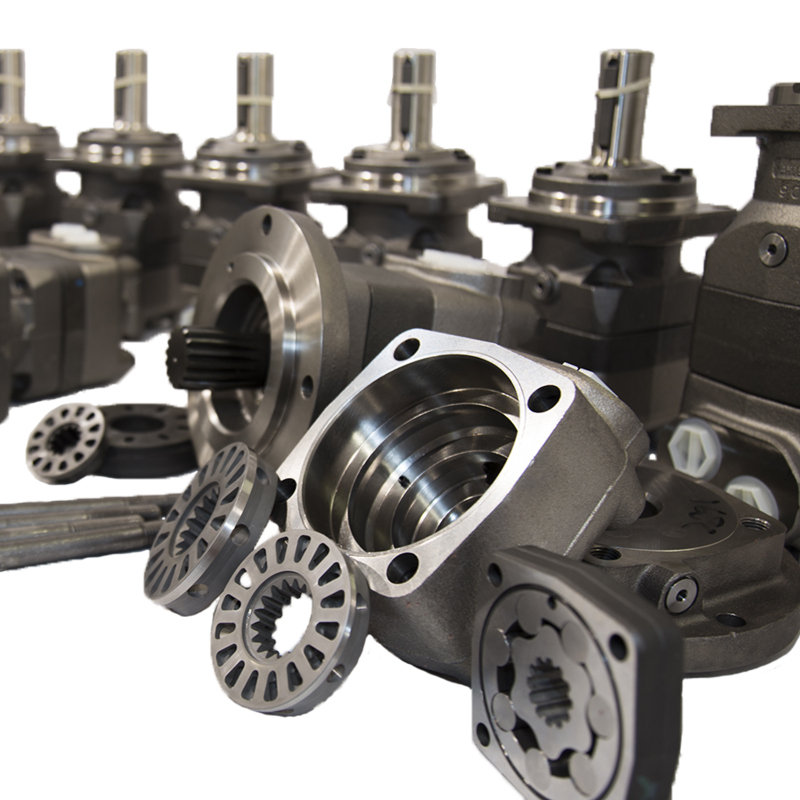 Flint Hydraulics, Inc. offers remanufactured pumps, motors and parts for many different makes and models. Our remanufactured components often save you up to 70% off the cost of a new model with the same guarantee. Minimize down time and maximize production while lowering cost of ownership and cost per hour with remanufactured units from Flint Hydraulics, Inc.
Flint has a simple ordering system for remanufactured items. 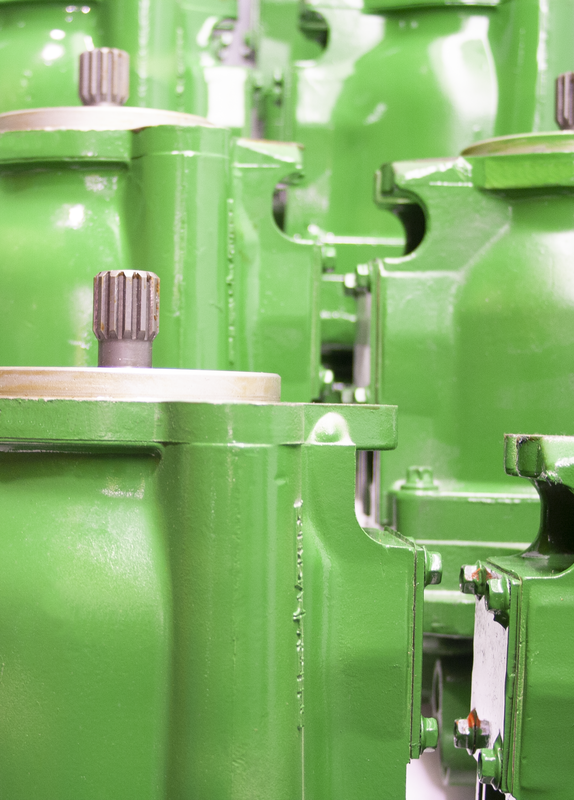 Order a remanufactured pump and return your core on receipt of the replacement unit. We stock a large number of remanufactured units for same or next day shipment and can frequently supply non-stock units on the same or next day. list of used and surplus components and parts? Do you have a hard-to-find, custom or obsolete unit? We known down time hurts! Save valuable time and money by contacting Flint Hydraulics, Inc.
Our team of highly trained and experienced technicians can repair your current hydraulic unit. We provide a no-obligation evaluation which is entirely free of charge when scheduled on our standard one- to three-day schedule. Our evaluation process follows state-of-the-art procedures customized to your particular needs. We document everything we do from start to finish and determine the cause of failure so you can address system-related problems while we’re working to get you up and running. We’ll give you a reliable quotation that includes optional expedited services and costs, and advise you of upgrades and new replacement options. Upon approval of our quotation, your unit will receive the same advanced remanufacturing processes as our service exchange units, providing you with a quality repaired component. Call our service department at 901-794-4884 or email sales@flinthyd.com. We’ll send you an RMA for your current component. Send us your pump or motor along with the Flint RMA number, and we will present you with a firm quotation to repair your component. Whenever possible, a quotation for a new pump or motor will accompany your quotation for repair. Flint Hydraulics, Inc. will purchase your used cores for some brands, as well as your new excess, obsolete or slow-moving inventory. Send your surplus inventory lists to purchasing@flinthyd.com or call 901-794-4884 and ask for the purchasing department. We’ll buy your new or used surplus or credit your account – whichever you prefer. Our surplus inventory consists of thousands of parts, assemblies and components at prices up to 90% off normal cost. We offer quantity discounts on most items. Are you looking to cut costs and increase profits? Used components make great replacement options, or can be disassembled for parts at a fraction of the cost of new.